The TacMed™ Uniformed Medical Kit (UMK) 2nd Generation builds upon the success of the first generation UMK. The UMK 2nd Gen greatly decreases the signature of the device over the original by moving the medical gear and pockets behind a flat panel, eliminating any imprinting under the officer's duty shirt. 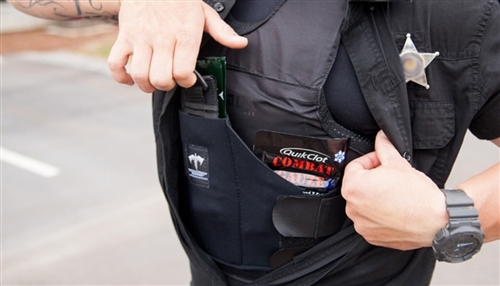 In addition, the UMK 2nd Gen increases comfort and durability as it reduces the thickness of the device with a new material that stretches to the shape of the officer's vest. 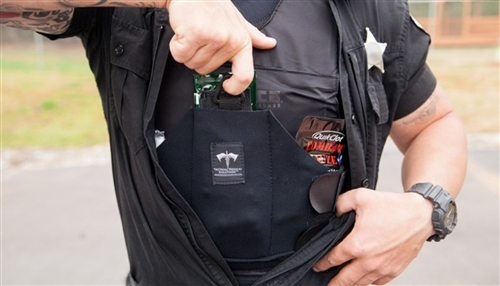 The new design allows the UMK 2nd Gen to fit ANY concealed body armor carrier that utilizes hook and loop straps, plus the sides can be trimmed for a custom fit. 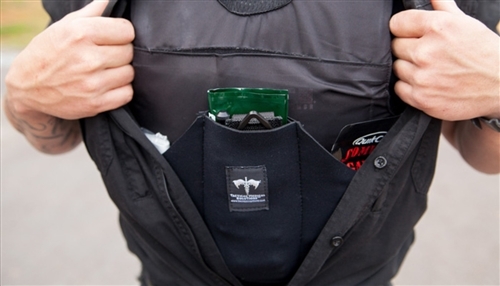 The UMK 2nd Generation is designed to carry the SOF® Tactical Tourniquet-Wide with additional pockets designed to carry a set of chest seals, hemostatic agent, and the Esmark Bandage. *** New design features an even lower profile... No imprinting under the officer's duty shirt! 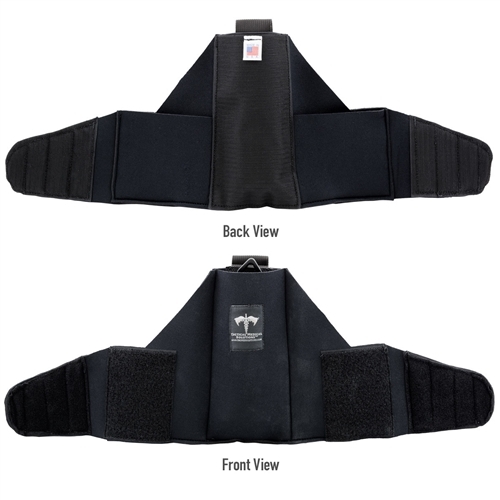 The fully stocked version of the UMK includes a SOF® Tactical Tourniquet Wide, Esmark Bandage, and Beacon Chest Seal.